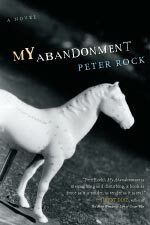 "Peter Rock's My Abandonment is mesmerizing and disturbing, a book as fierce as it is tender, as tender as it is real." 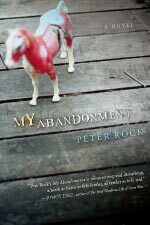 "This beautiful, strange novel takes us into the foreign country where those called homeless are at home, the city is a wilderness, and the greater wilderness lies beyond. 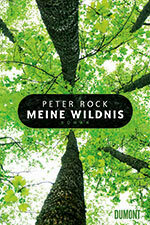 Fascinating and moving, it tells us with great tenderness how human love goes wrong." 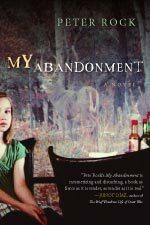 "My Abandonment is purely dazzling, alive in every word and scene, so deep and strange in its rendering of this one yoiung woman's life that I could hardly raise my eyes from the page." 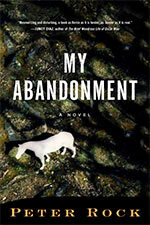 "An electrically charged, bone-deep, and tender tale of loss and partial redemption. 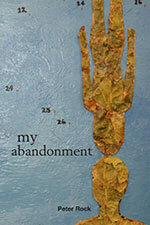 Surreal, haunting, elegiac." 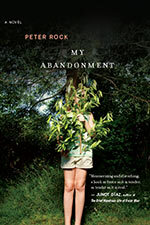 A thirteen-year-old girl and her father live in Forest Park, the enormous nature preserve in Portland, Oregon. There they inhabit an elaborate cave shelter, bathe in a nearby creek, store perishables at the water's edge, use a makeshift septic system, tend a garden, even keep a library of sorts. Once a week, they go to the city to buy groceries and otherwise merge with the civilized world. 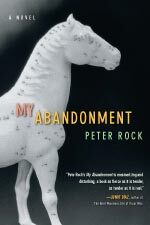 But one small mistake allows a backcountry jogger to discover them, which derails their entire existence, ultimately provoking a deeper flight. 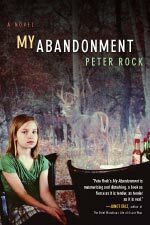 Inspired by a true story and told through the startlingly sincere voice of a young narrator, Caroline, Peter Rock's My Abandonment is a riveting journey into life at the margins, and a mesmerizing tale of survival and hope.